Last year I fell in love with the Delicata squash with its yellow or cream-colored skin, distinctive longitudinal dark green stripes and sweet, orange-yellow flesh. 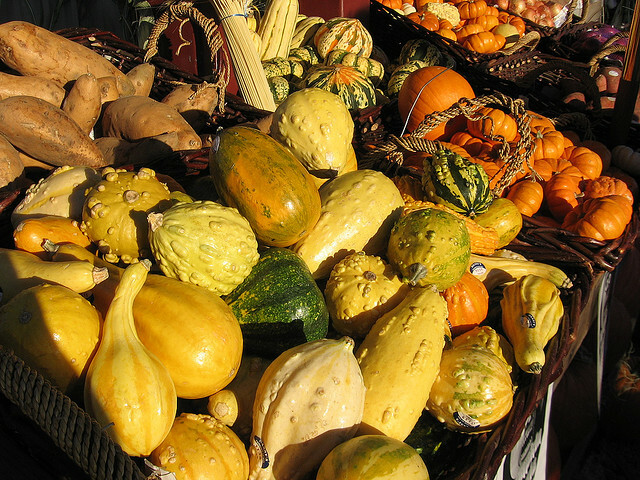 So when fall comes around, and I see it stacked with the other winter squashes, I’m a happy girl. The Delicata squash has a mild flavor and tastes a lot like a sweet potato. It actually tastes delicious plain with perhaps a bit of Earth Balance buttery spread and a sprinkle of pepper. It does not need any added brown sugar. It tastes wonderful as is, and I wasn’t surprised when I learned that this pretty little novelty summer squash — they also look pretty on the table as a decoration — is also known as the sweet potato squash, peanut squash or Bohemian squash. 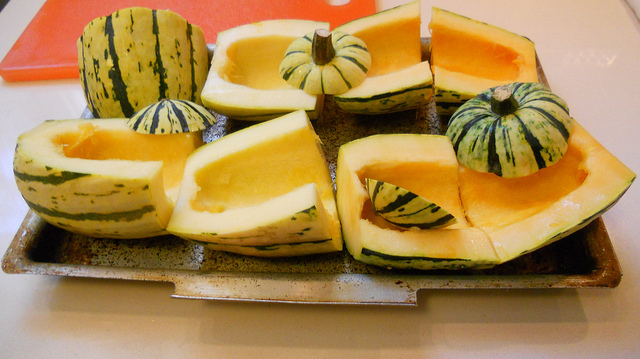 Delicata squash are a cinch to clean, cut and cook making them a dream. They range from 5 to 10 inches in length with an average weight of 1 to 2 pounds which is a perfect size to cook and serve as individual servings. Due to its soft texture — unlike winter squash, such as butternut and spaghetti squash — the Delicata squash can also be easily chopped and sliced and does not require roasting or baking to soften its flesh. Once cooked, I think that the skin is soft and tasty enough to eat, so nothing is wasted. This little dynamo contains zero grams of fat and a 3/4-cup portion of Delicata squash contains only 30 calories. It delivers significant nutritional benefits and is rich in vitamins A (from beta carotene), B6, C, and E, as well as magnesium, potassium, and manganese. For a complete balanced, nutritious meal, I like to pair a serving of Delicata squash with both a protein, such as tempeh, tofu or TVP (textured vegetable protein), and a vegetable — broccoli, kale, Swiss chard carrots or green beans are a good choice. 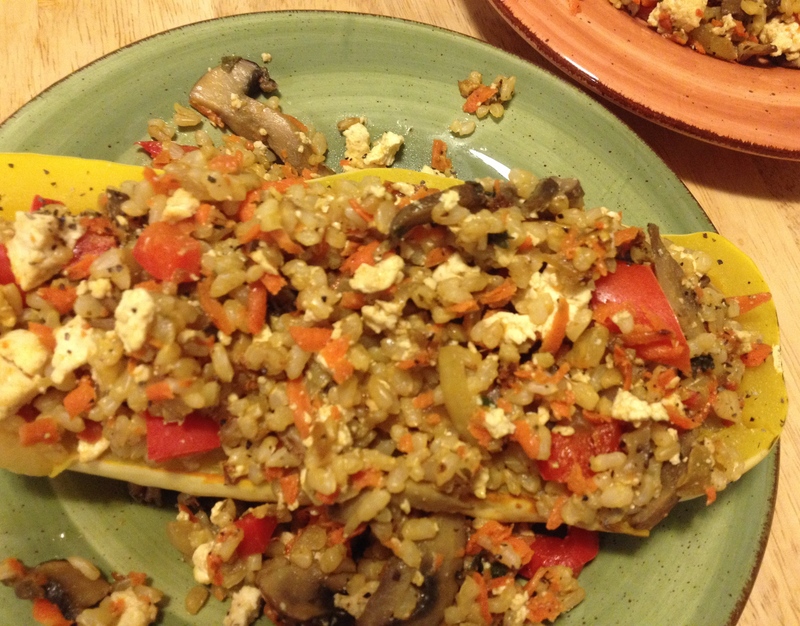 With that in mind, what could be better than a stuffed Delicata that includes rice and colorful veggies and tofu! So, here’s an easy meal that only takes about 40 minutes, tops. 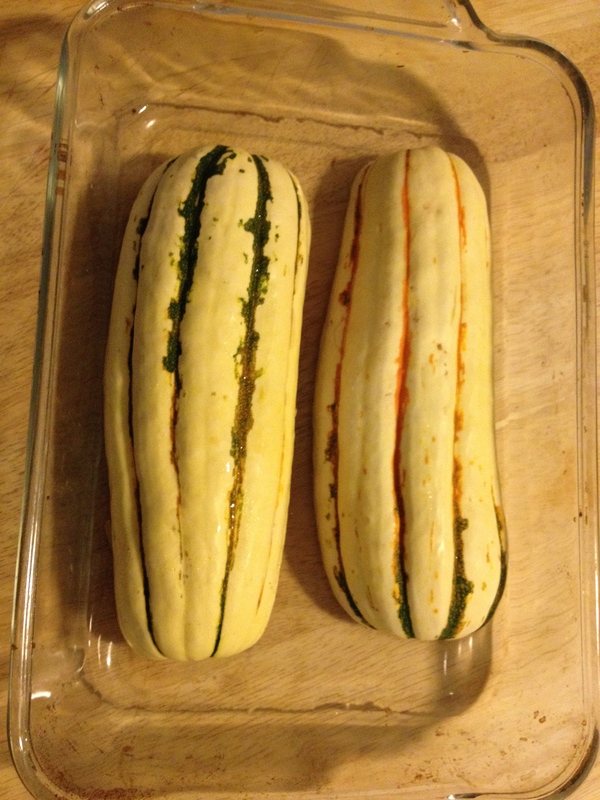 Clean the Delicata squash by running under warm water. 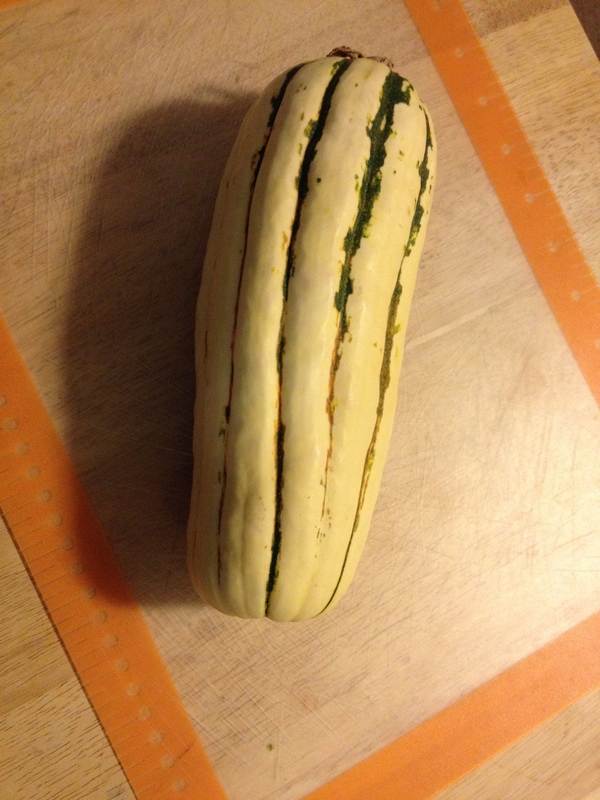 With a sharp knife, cut the Delicata in half lengthwise. Since their skin is not tough, this should be easy and not require any extra effort or crazy hacking and hewing. With a spoon scoop out the seeds and discard. 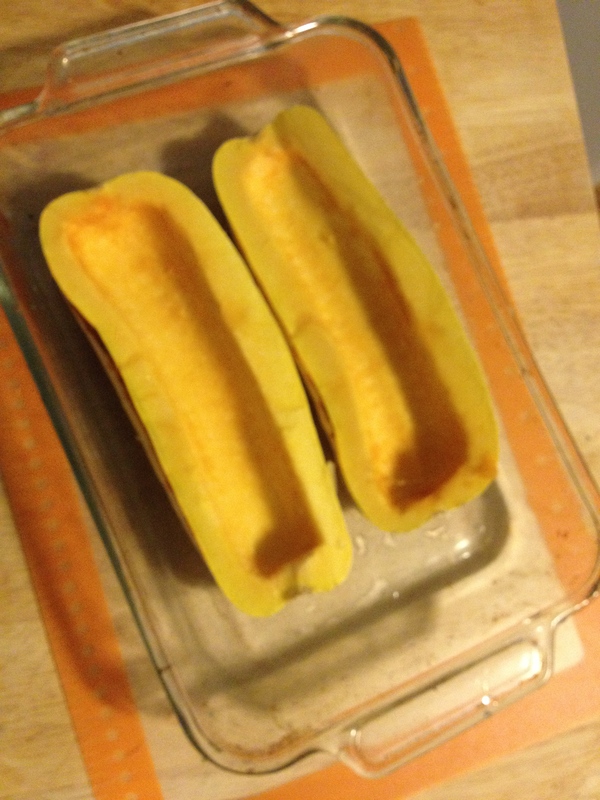 Place the squash face down in a Pyrex dish with about ¼ – ½ inch of water. Place in the preheated oven and bake for about 30 minutes until soft. 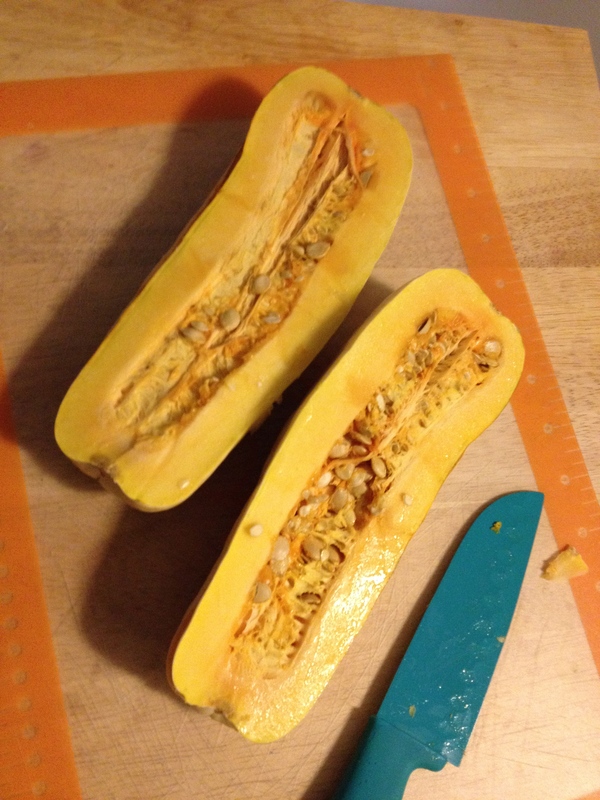 Check the squash at about 25 minutes and test the doneness by piercing the flesh with a sharp knife. 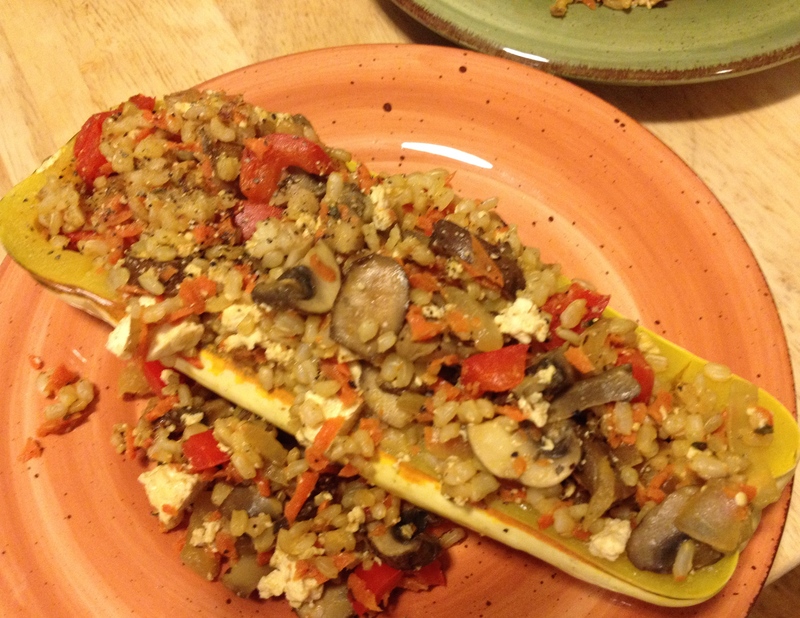 While the squash is baking, chop up all your veggies. In a large pan, first saute the mushrooms in Tamari sauce and water for about 6 minutes. Next, add the onions and peppers and saute for about three minutes, so they are still crisp. 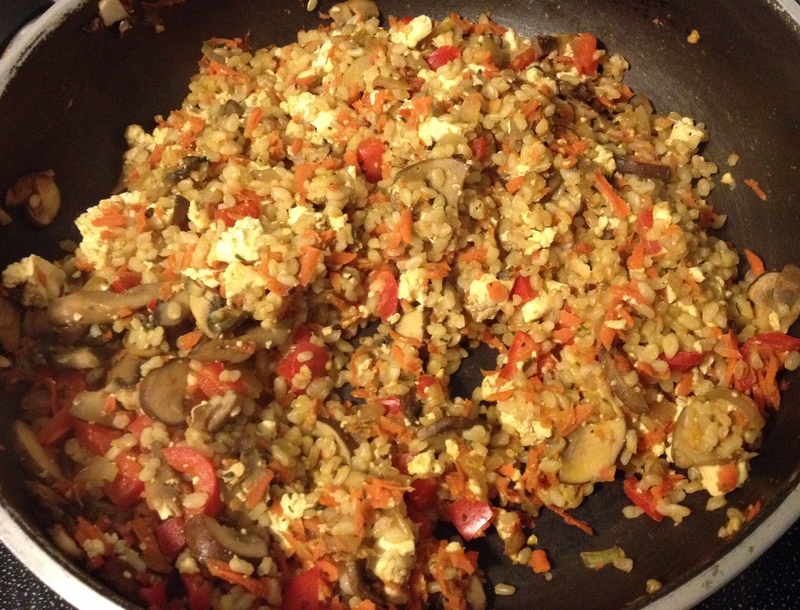 Next add the carrots and then the tofu and seasonings and nutritional yeast. 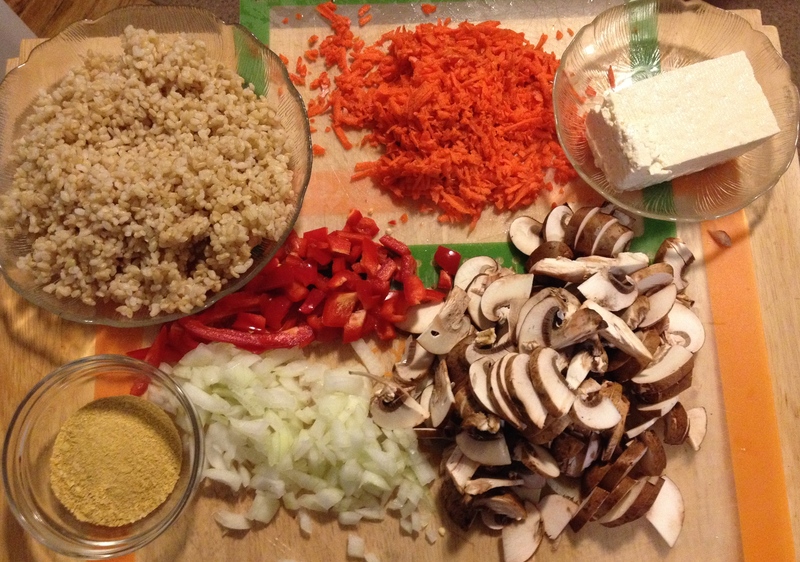 Add a bit of water and continue to break up the tofu to blend it with the wonderful flavors and make it a bit creamy. Next add the cooked brown rice and stir mixture until heated through. Total time to put this mixture together is only about 10 minutes. Add pepper to taste. 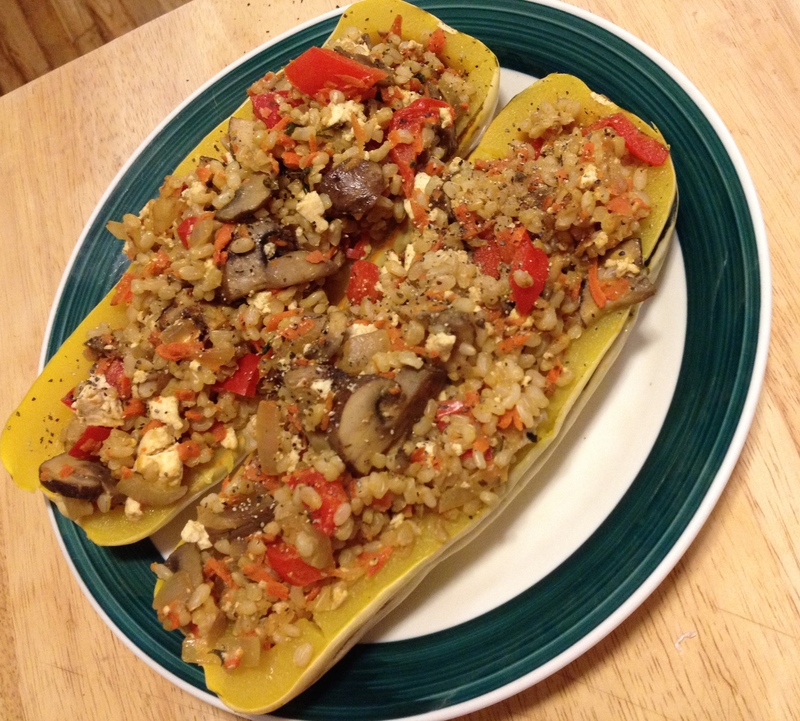 Remove squash from oven and place on platter or plates, spoon rice mixture into the squash boats sprinkle with more black pepper, if desired and serve. This is truly a delicious complete meal. But you could omit the protein in the rice mixture and enjoy this as a hearty side dish along with a green salad, some additional sautéed kale, and a serving of vegetarian neatloaf or veggie burger for the added protein. It not only looks pretty, it takes delicious. It could become a favorite at your house this year and a lovely addition to any holiday meal.